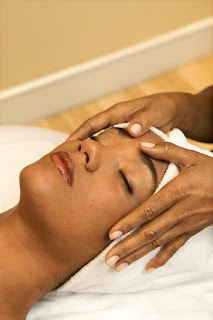 Add On Service Alert - Scalp Massage! Introducing our newest product line Moor Spa! Use Moor Spa Hair & Scalp Mask for the perfect add-on service to any treatment. It is so simple, yet luxurious. Apply approximately 2 tablespoonfuls of the mask to the hair and massage into the scalp. Place a shower cap over the hair and cover the head with hot towels. Leave it for 20 minutes, then wash out! This can be followed by an upgraded scalp massage for ultimate relaxation. A popular among top stylists around the world is the Italian made Elchim line of hair dryers. One of the top picks is the Elchim 3900 Healthy Ionic Dryer. If you'd like to maximize productivity during your days, cutting down the time it takes to dry hair should be on your radar. 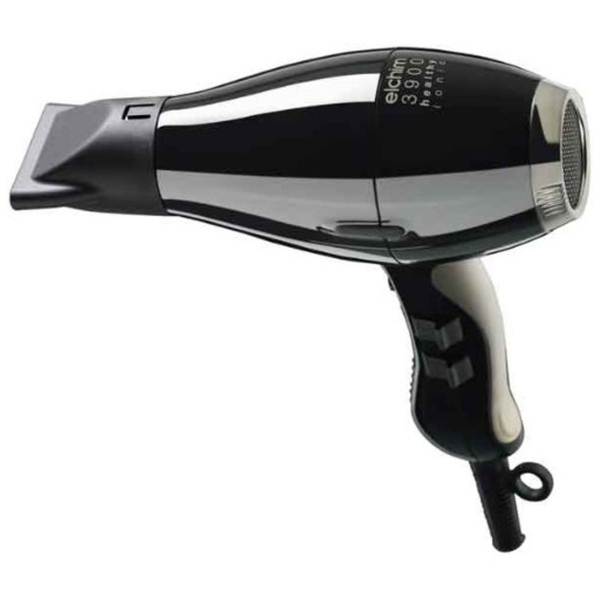 According to the manufacturer, this powerful and quiet ionic ceramic hair dryer will reduce drying time by over 30%. This will increase the ability to see additional clients, offer additional add on services if that is something that interests you! Designed to be quiet and efficient, this dryer is one of the lightest in the industry. Increase appointments and reduce muscle/joint fatigue, this already sounds good! Add in electromagnetic wave protection system (LOW EMF), anti slip grip and an ionic ceramic system. That boils down to this dryer moisturizes and enlightens the air,eliminating electrostatic charges. Powerful, lightweight, quiet and pays for itself with one or two services. This could be the dryer you've been waiting for! Did you know that some hair needs a hair steamer or processor to achieve maximum results? A hair steamer helps open the hair cuticle for better penetration of conditioners and treatments. By investing in this unit you are creating happy clients, who spend less time sitting and waiting. That means you have more time for additional appointments and a smooth flowing schedule. The Athene Professional Hair Steamer is user-friendly with its electronic controller. The Athene allows for varying degrees of desired temperatures. Ideal for salon permanents, coloring and deep heat conditioning, this steamer provides moist warm air as a gentle alternative to conventional heat sources. This dynamic, versatile appliance is movable and generates steam to aid in the acceleration and enhance the effect of permanents, hair dying and conditioning. Braids are definitely a huge hair trend for 2016, but then again, did they ever really go out of style? Everyone from Taylor Swift to Kim Kardashian have been rocking some serious braids this year, and I'm sure many of your clients are seeking this look as well! With up-do season approaching (prom, weddings, bridal showers, bar mitvahs, gender reveal parties.. the list goes on!) I'm sure your salon will be extra busy these next few months! You definitely want to make sure you're fully stocked on products. 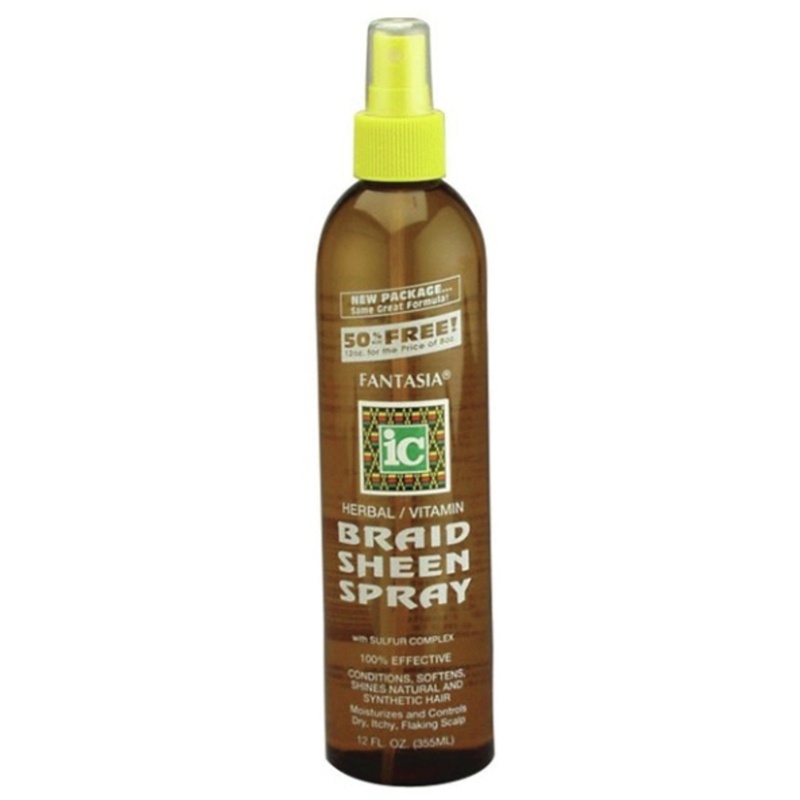 We just got in an amazing product - the Braid Sheen Spray by Fantasia! This herbal spray conditions, soften, and shines the stresses of braided hair, giving it a healthy look that your clients will love! It's made with herbs and vitamins to control a dry, flaking scalp. It also works well on synthetic hair, giving it a natural shine! Use it on your clients for their up-dos, or you can also retail this item for them to take home! Almost every commercial I see on television for hair products boasts it's hydrating abilities in some way. Usually accompanied by random splashes of water, a woman with long wet hair whipping it about or the obligatory waterfall. Usually rather than wanting to buy the product I long for a tropical vacation or a glass of water. Dehydrated hair is a common concern among, well, everyone. No one wants dry, limp or frizzy hair. We all want to be like the woman in the commercials with long luminous locks. Prevention is always key, pretty much with everything in life. Dehydrated hair can be caused by pollution (smoke, chemicals etc), products (harsh shampoos/conditioners), and chemical treatments (coloring). Anything that strips the hair of the outer protective layer will result in dry weak hair. Offer client's hydrating hair treatments, hair oils, making sure they only use quality shampoo/conditioners and styling products that will not strip their hair. AHHHH-MAZING Argan Oil Shampoo and Conditioner - Must Have Retail Items for 2012! Recently, my 4 year old daughter developed a sensitivity to sulfates found in many shampoos, conditioners, and body washes. I have switched her to using only Castile Soap derived from coconut oil. Since she is unable to use these harsh detergents, I thought it might be a good idea to eliminate them for myself as well. 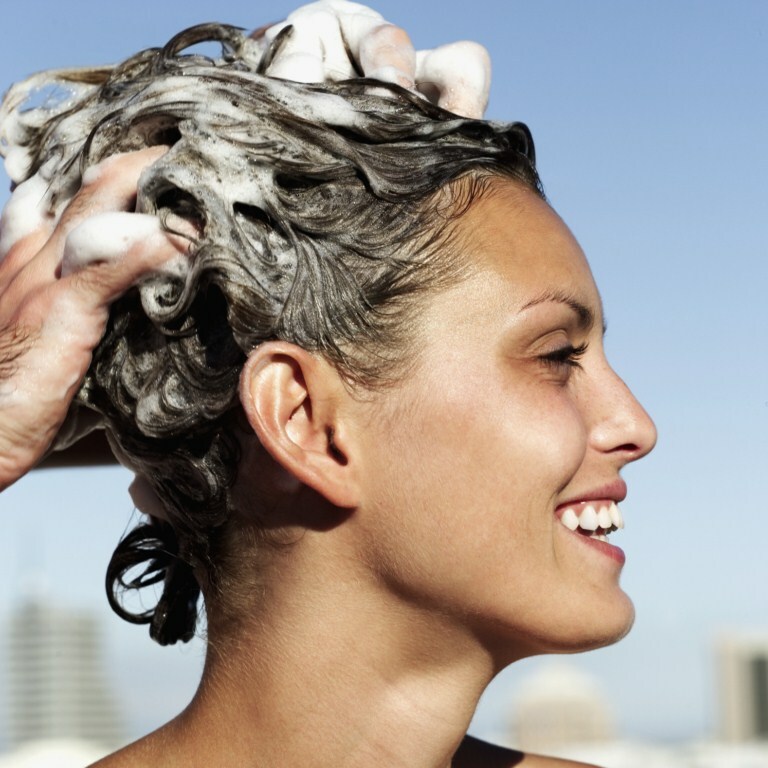 I have tried a few sulfate-free shampoos in the past, but was unhappy with the results. They either did not leave my hair feeling clean or soft, or led to itchy, greasy roots within hours. 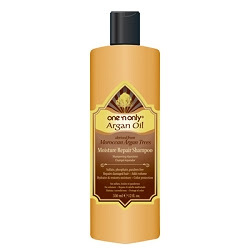 Then, a few weeks ago, I blogged about the incredible liquid gold oil, Argan Oil. In my research for that blog, I discovered the One 'n Only Argan Moisture Repair Shampoo and Conditioner and decided to give it a try. I did not have very high expectations, based on my previous experience with sulfate-free shampoos, but boy, did this shampoo surprise me! Since it is sulfate-free, there is very little lather. While there is not much to back this up, we usually equate big, bubbly lather with shiny, squeaky clean! The lack of lather left me feeling a little....empty during my shower, but I figured I would roll with it. The shampoo is a pearly white and feels about the same consistency as most shampoos I have used previously. Nothing special there. The conditioner also felt like most other conditioners I have used. The one noteworthy feature of this duo is the scent - HEAVENLY! The warm, almost nutty aroma stays with you long after you have rinsed. When I got out of the shower, my hair felt about the same as usual, heavy-wet, yet soft. I decided to allow it to air dry to see if the shampoo and conditioner had any noticeable effect on my thick, semi-wavy hair without any input from styling tools. When my hair was more than half dry, I ran my fingers through it to feel the progress it was making, and my heart nearly stopped. My hair felt dry, crackly, and sticky. OH NO - what happened? I figured I would allow it to finish drying before I made my final assessment. and felt nicely moisturized. Not sure why it feels so yucky while it is drying, but the final outcome is lovely. My hair feels strong, yet silky smooth, without feeling greasy - even after 2 days! I normally have to wash my hair daily or risk looking like I am wearing a grease helmet, but with this shampoo, I can go 2 days without a problem! I have received so many compliments on my hair since I started using this Argan Oil shampoo...perfect for the holiday season, when I want to look my best! I definitely recommend checking this shampoo and conditioner out, for yourself, your salon, AND to retail to your clients! Hair steamers are quickly gaining popularity, and it is easy to see why. A hair steamer is like a sauna for the scalp and hair: it encases the head in a warm cloud of steam, opening the hair follicles to better absorb treatments, while cleaning the scalp and loosening dirt, product build-up, and dead skin cells. Hair steamers are often used in a salon to perform deep conditioning treatments, protein treatments, and even color treatments. Professional Hair Steamers are available on rolling stands, perfect if you are interested in adding a hair steamer to your equipment, but are working with limited space. With Pure Spa Direct's wide offering, we have a hair steamer perfect for every salon! If you are just opening or remodeling, we also have wall-mounted hair steamers! Help your clients have long, beautiful, healthy hair! What treatments do you use a hair steamer for?